Attractions literally surround the square on all sides. Because here in the territory of the Moscow Kremlin there are lots of great architectural and cultural values which you have to see. So start to see Moscow on the red square. 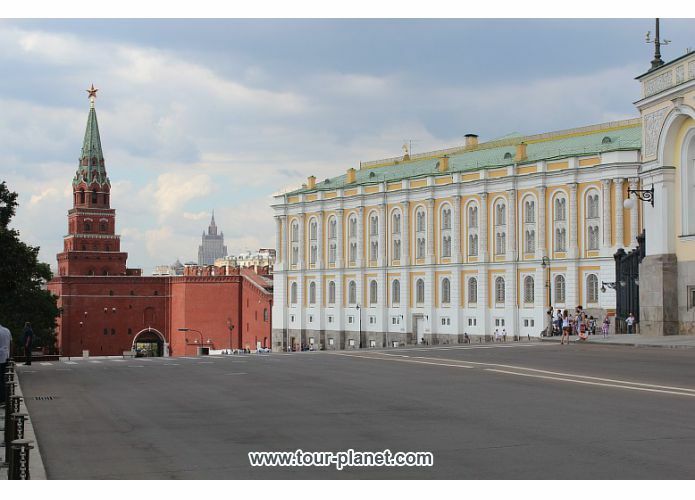 The architectural ensemble of the Moscow Kremlin includes the structure of the 14 - 19th centuries, in the center of the ensemble Cathedral square is located. From 75 to 79 years of the XV century architect Aristotle Fioravanti builds here the Uspenskiy Cathedral. For several centuries, the Cathedral becomes the main cathedral of Russia. It hosted coronations, the burial of the patriarchs and metropolitans. 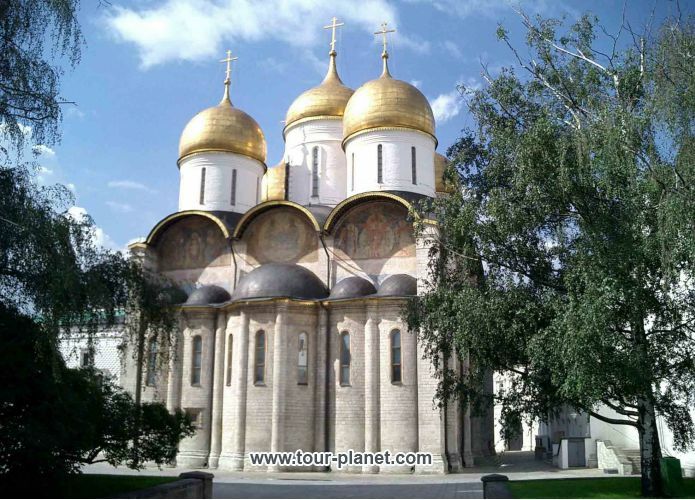 In our time in this magnificent Cathedral of the Kremlin you can see the collection of monumental paintings, the beautiful iconostasis, one of the largest Russian collections of artistic value, and especially revered icons, well-known Molen place of Ivan IV the terrible and unique historical necropolis. From 1484 to 1485 years near the West entrance to the Cathedral of the assumption artel of Pskov masters, was built a single-domed Church of Lord's robe deposition. She has served the home Church of Russian metropolitans, and later of the patriarchs of all Russia until the mid-17th century. Wall paintings and the iconostasis of a relatively small and cozy Church, constitute a single artistic ensemble. In the gallery of the Church there is an exhibition of wooden sculpture. There is a few works left and each has a great value and causes a great interest. At the same time, from 1484 to 1489 Pskov masters Ivan Krivtsov and Myshkin build the Blagoveshenskiy Cathedral. 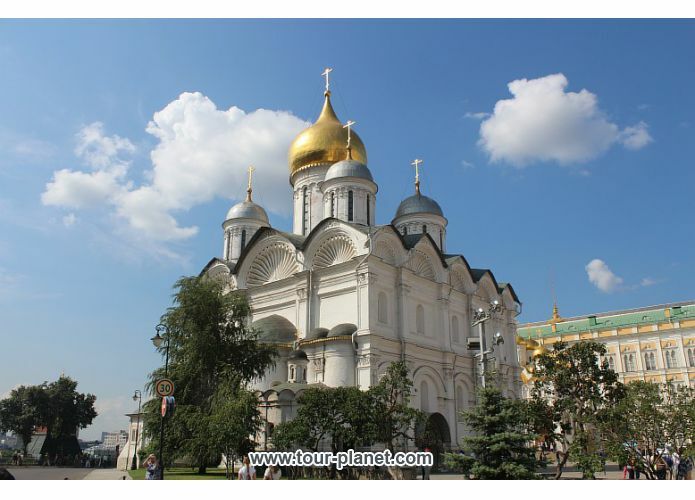 This Cathedral was the home Church of the tsars and Grand princes of Moscow. The huge value of the Cathedral is the ancient iconostasis and paintings of the times of Ivan the terrible. Many scientists believe that all the icons of the Deesis row were written by the famous Theophanes the Greek, and some of the icons of the festival tier belong to the brush of the great Russian painter Andrei Rublev. 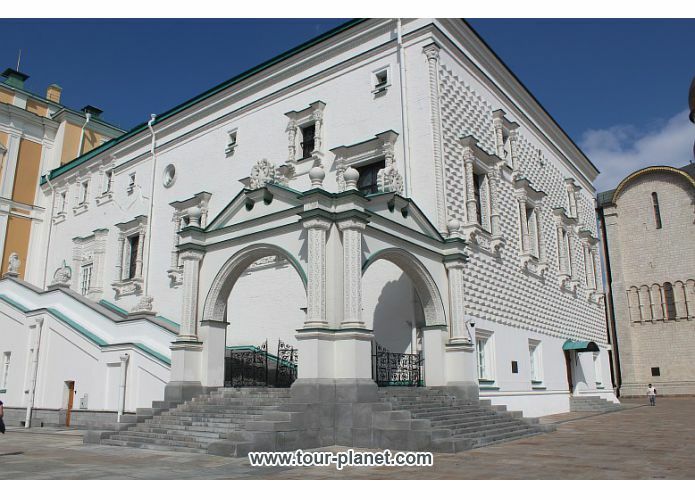 In 1487 - 1491 years, The Faceted Chamber - one of the oldest civil buildings in the Moscow Kremlin was built in the square . In this chamber coronation dinners were organized. Right there Ivan IV the terrible was celebrating the capture of Kazan in the year 52 by the 16th century. Tourists that are exploring the Kremlin should visit granite chamber. The chamber continues to be used by leaders as a representative hall of the residence of the President of Russia. The doors of the ancient monument are also open for visits of tourists. 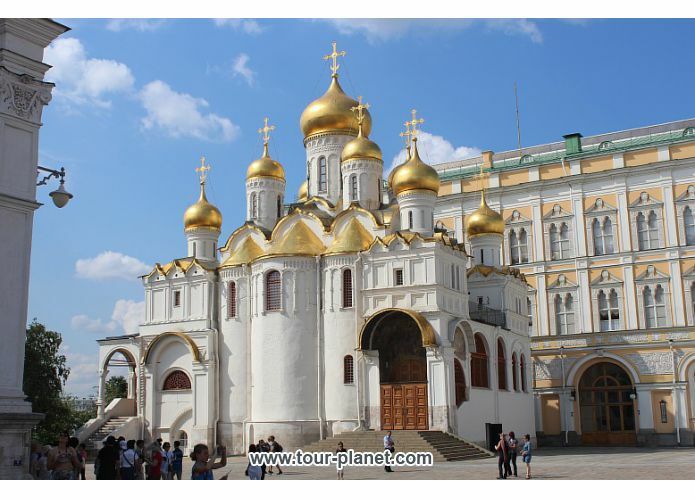 From 1505 to 1508 years on the Cathedral square, the Italian architect Aleviz Novocom the Cathedral of the Archangel, a patrimonial tomb of the kings and Grand princes of Moscow is built. The walls and pillars of the Cathedral are decorated with a unique "portrait gallery" of Moscow rulers and their great ancestors. In the high row of the iconostasis one can see the ancient image of the "Archangel Michael with acts", written during the battle of Kulikovo. At the same time as the Cathedral of the Archangel, the Bell tower of Ivan the Great, the majestic tower of the Moscow Kremlin was built. For many centuries the architectural ensemble of the assumption belfry, Filaretov's Annex and the Ivan the Great bell tower is the architectural centre of Moscow. 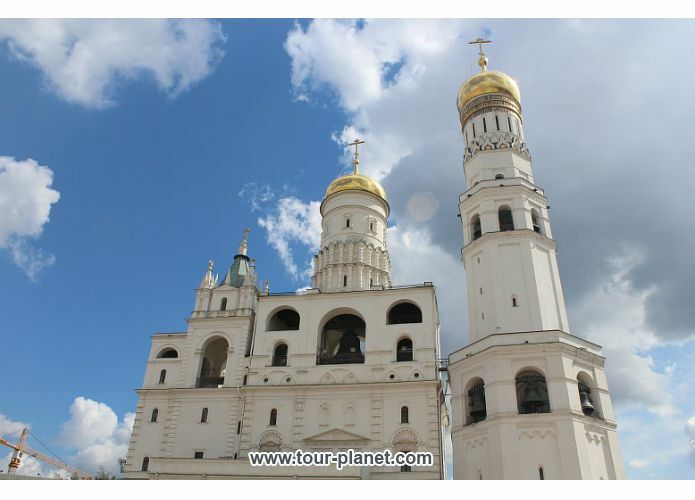 The bell tower is a Museum dedicated to the history of the architectural complex of the Moscow Kremlin. The Armory Chamber ( originaly was called the Armory order) was first mentioned in 1547 as a weapon storage in the Moscow Kremlin. The Armory was under constructruction from 1806 to 1812. This Museum exhibits the oldest state regalia, vestments of the Church hierarchs, the coronation dress and Royal ceremonial clothing, silver and gold handmade of Eastern, Russian and European masters, ceremonial horse trappings etc. The exhibits this Museum features are made of precious decorations and materials that have high artistic quality and importance in the history of culture and Russian statehood. 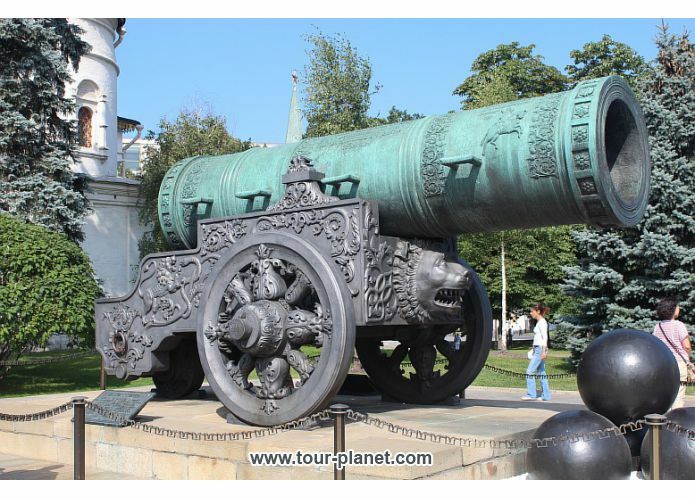 The Tsar Cannon is a magnificent monument of foundry art, and the Russian artillery. From 53 to 55 year of the XVII century by the order of Patriarch Nikon on the territory anciently belonging to the Moscow metropolitans and patriarchs one of the finest and rare monuments of civil architecture - the Patriarch's Palace was created. In our time in the Church of the Twelve apostles, ancient Cross chamber and the refectory a museum is located. This Museum has the most valuable monuments of culture and history of the 17th century - things of the patriarchs, desktop and pocket watches, precious tableware, fine samples of interior decoration and pictorial embroidery, early printed and handwritten books and icons of the Royal icon-painters. In 1730, the daughter of Ivan V, the Empress Anna ordered to remake broken bell of Grigoriev with the addition of metal to make the weight of the bell equal to 10,000 pounds. For this work, the son of field Marshal Minich was instructed to find the master in Paris. Munnich suggested to give this work to the mechanic of the French king - Germany, but he took it as a joke. Ivan Fedorovich Motorin decided to do this work. First Motorin casted a relatively small (12 pounds) bell. Then the drawings, including the lifting scheme was sent for approval to St Petersburg. 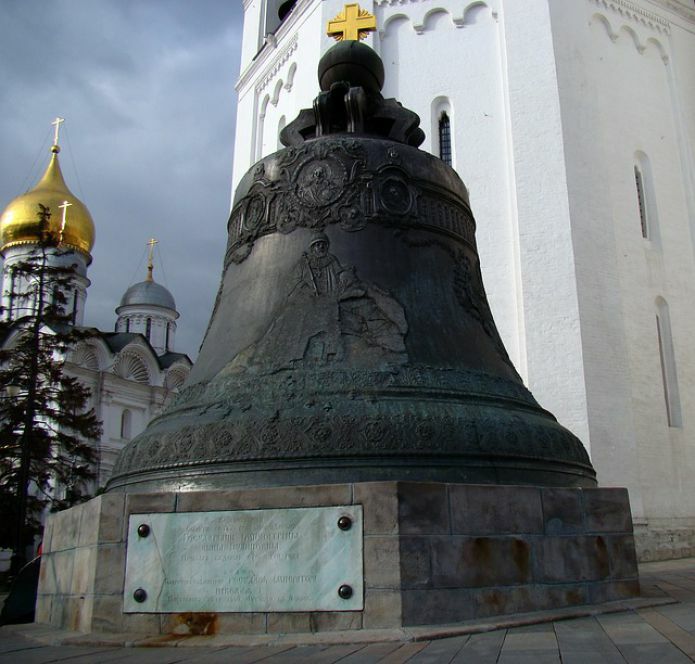 Soon appeared one of the most famous sights of Moscow - the Tsar bell. During the reign of Soviets, the Kremlin suffered heavy losses. Many historical monuments and sights were destriyed; the ancient Church of the Savior on Bor, built in 1330 under Ivan Kalitas reign; founded in the year 65 of the XIV century by Metropolitan Aleksey Chudov monastery and founded in the early fifteenth century by Dmitry Donskoy widow Eudoxia women's ascension monastery. Under Stalin in 1937, double-headed eagles are removed from the peaks of Kremlin towers and five-pointed stars are set instead of them. Today architectural ensemble of the Cathedral square of the Kremlin, is an object of the world cultural heritage, which was established by UNESCO. Twelve years ago I was with my daughter in the Kremlin. Beautifully good, very clean, like in a polyclinic. 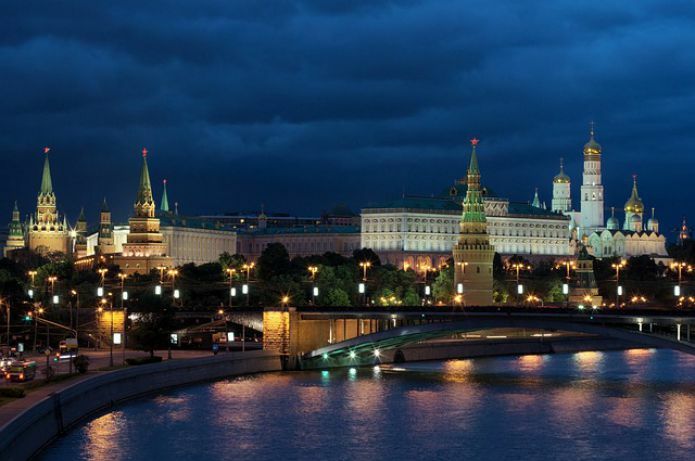 Indeed, when visiting Moscow you must necessarily see the Kremlin from the inside. After my next trip to Moscow, to the Kremlin I will definitely go again.